"We have been very pleased with our children's educations and are looking forward to another year." We offer a wide variety of extracurricular activities. 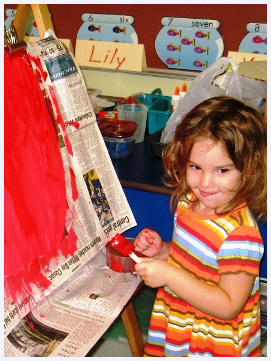 Many activities are unique to each school, while some are district-wide. Activities at the elementary school level include volleyball, basketball, soccer, Girls on the Run, after school violin, Lego Club, Bowling, Chess Club, and Scouts. The school also offers reading nights, field trips, STEM activities with business partners, and other programs throughout the school year. All 5th graders take part in an overnight camping experience. Extracurricular activities at All Saints Central Middle School include boys and girls basketball, volleyball, football, and bowling. Middle school students are also encouraged to participate in Robotics and Theater. Eighth graders have the opportunity to participate in a trip to Washington, D.C. and also celebrate the end of the year with a trip to Cedar Point. There is no shortage of extracurricular activities for students attending the High School. Over 80% of students participate in sports programs which include golf, bowling, tennis, football, basketball, volleyball, softball, and baseball. Supporting the athletic programs are the pom pon squad and dance team. Aside from sports, students also take part in Yearbook, Drama/Theater, Robotics, Student Council, Campus Ministry, Music Ministry, Pro-Life Club, and Yellow Ribbon Club. In addition, All Saints has active chapters of the National Honor Society and Key Club. Our parents encourage their students to become well-rounded individuals by emphasizing the importance of activities outside of the classroom. All Saints parents are involved in school events through coaching, fundraising, and chaperoning. Parents support students' involvement by attending performances, fields trips, and competitions. A Home and School Association and School Committee at each level provide opportunities for parent participation in the decision-making process for the schools.